Madlen is placed by CIEE and hosted by the Christ/McIvor family in Peachtree Corners, GA. She has made tremendous efforts to try new things since her arrival in the U.S. At Norcross High School, she joined Best Buddies, a student group that brings together non-disabled and disabled students. She has enjoyed eating lunch with her special needs peers and they have even had dance parties! She is a member of Interact, a club dedicated to promoting positive environmental behavior, and works diligently after school collecting recycling on the campus. Last month, she went door-to-door for a “Trickor-Can” event with other Interact club members. She has joined Model United Nations and attended a conference as a delegate. A spirited fan of her school’s sport teams, every Friday evening she attends Norcross High School football games as a member of Blue Crew, the school’s cheer squad, cheering the team and leading the spectators in supporting the players. An enthusiastic singer, Madlen was selected for Honor Chorus and enjoyed caroling with them over the holidays. She also joined the Norcross High School Swim Team and has been practicing daily. Outside of school, Madlen is actively involved in her community. She attends church youth group, where she has formed new friendships with other teens. She also participates in a weekly Boot Camp at the local YMCA where she is proudly lifting more weight than when she began. At both church and the YMCA, she has been surprised by the number of connections the people she meets have to Germany. She regularly engages in conversations with people who have lived in Germany in the past, have German ancestry, or are just excited to meet such a friendly German! In just a short amount of time, she has participated in the “Light Up the Corners” 4-mile race; attended a City of Peachtree Corners City Council Meeting; gone tubing in Helen, GA; attended Music Midtown; marched in the Duluth Fall Festival parade; and spent fall break relaxing at the beach in Hilton Head, SC. Madlen has overcome many challenges, including getting lost in the airport upon her arrival! These difficulties have helped her develop important problem solving skills that will help her succeed. 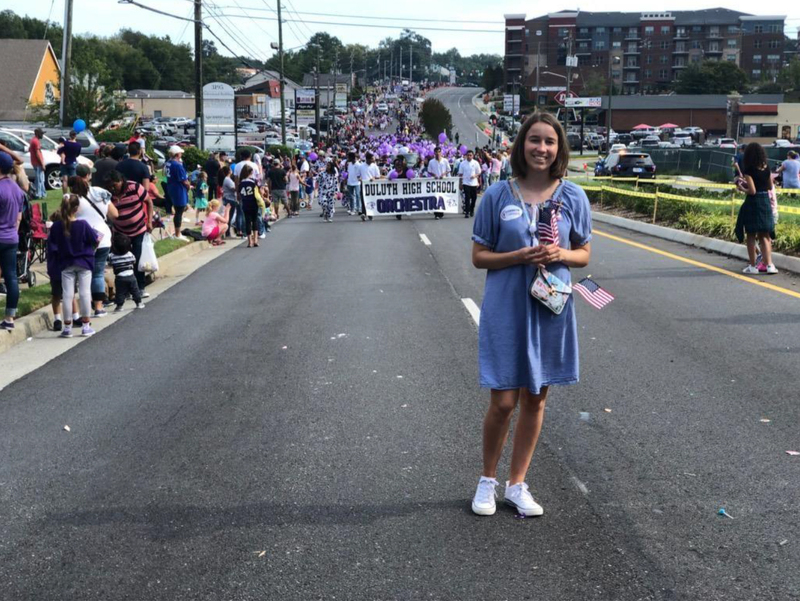 Additionally, thanks to her host father’s participation in local politics (he is a member of the city council), Madlen has learned a lot about American politics, history, and civic engagement. She will be able to draw on this experiential learning to explain the United States to her friends and family back in Germany after her exchange year. This is the type of personal and academic growth that epitomizes the impact that the CBYX program has both on the exchange students and their host communities.